Spacecrafts and probes usually go down with a bang or a crash. Such was the case with the MESSENGER probe back in 2015 and the Rosetta just last year. NASA’s Cassini spacecraft, however, is choosing to “crash” into Saturn in style. Cassini’s last mission, dubbed its “Grand Finale,” began last April when it started making a series of loops around Saturn designed to bring it closer and closer to the ringed-planet’s surface. Earlier today, at 12:22 AM ET (04:22 GMT), Cassini made a historic ultra-close low pass that skimmed the surface of Saturn’s upper atmosphere — just 1,600 km (1,000 miles) above the cloud tops. The carefully arranged maneuvers mark the final steps of the Grand Finale mission, which will end with the Cassini plunging into Saturn on September. At present, the space probe is circling around the planet, between its rings and atmosphere. The Grand Finale is more than a dramatic ending for 13 years of exploration around Saturn; its greater purpose is to gather data on the chemical composition of the planet. “It’s expected that the heavier helium is sinking down,” European Space Agency’s Cassini project scientist Nicolas Altobelli told BBC News, explaining that some 25 percent (or less) of Saturn’s composition is made of helium. “Saturn radiates more energy than it’s absorbing from the Sun, meaning there’s gravitational energy which is being lost. And so getting a precise measure of the hydrogen and helium in the upper layers sets a constraint on the overall distribution of the material in the interior.” Accordingly, 75 percent of Saturn is believed to be hydrogen. We’ll have to wait until Tuesday for the data though, when Cassini sends it back to Earth after going for another low swoop on Saturn’s atmosphere. Launched in 1997, the Cassini spacecraft spent seven years traveling through space before finally reaching Saturn’s orbit in 2004. Throughout its two decades in space — 13 of which were spent around Saturn — Cassini has made considerable discoveries regarding the ringed-planet and its moons. One of these was the first-ever landing on the moon Titan, made by Cassini’s Hyugen’s probe. 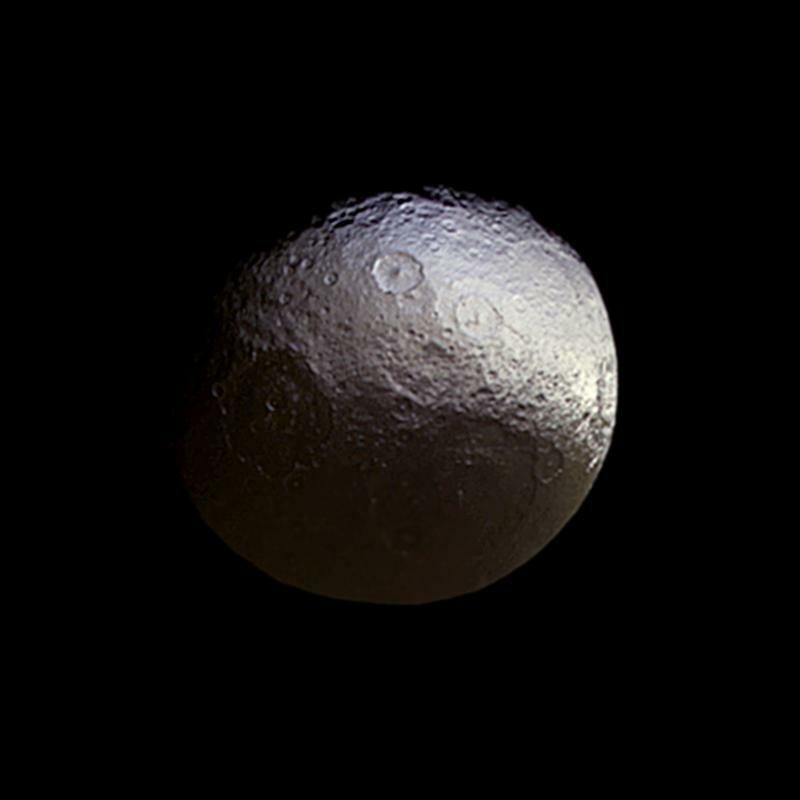 Another is the discovery of icy plumes on Enceladus, as well as solving the mystery of Iapetus. Still, scientists have some questions left unanswered. For one they’re still hoping to gain a more precise understanding of the length of day on Saturn (estimates currently peg it at 10-and-a-half hours). According to NASA, Cassini will also make more detailed observations of “Saturn’s auroras, temperature, and the vortexes at the planet’s poles,” while peering deeper into the atmosphere for other small-scale features. Cassini is expected to begin its final plunge toward Saturn’s surface on September 15, after its trajectory is altered by a distant encounter with Titan “as a gravitational version of a large pop-down maneuver” that would slow down the spacecraft’s orbit.